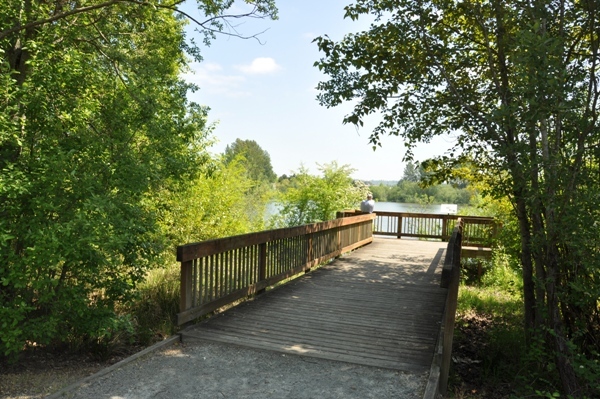 As the aerial photo shown at the bottom of this page shows, Tukwila Pond Park is a 25 acre oasis in the middle of Tukwila's busiest retail district. 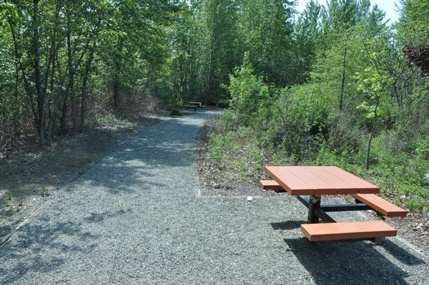 Tukwila Pond Park was entirely financed and organized by volunteers in order to bring wildlife back to this area. The 19-acre pond formed in this low-lying area after development overtook this former agricultural valley. 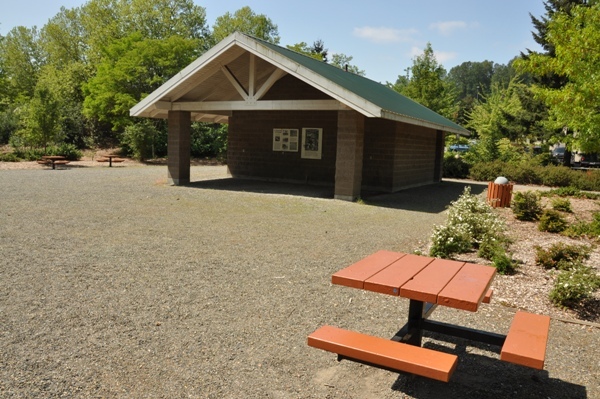 In the park you will find picnic tables, trails, restrooms and a greenbelt. There are several platforms that push out into the pond to get a better view. 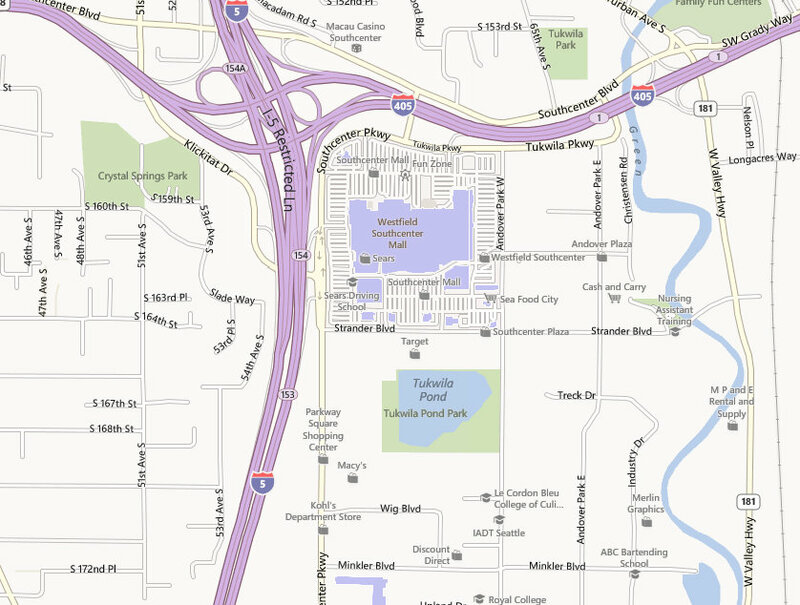 Access is from just west of the Target store on Strander Boulevard. 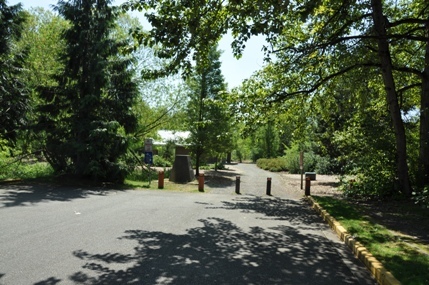 There are a few signs pointing to the park in the southcenter area. 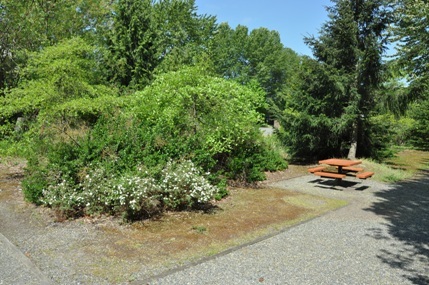 You could easily walk to the park from the Westfield (Southcenter) Mall. Birdwatching is popular here. Birds at the park include Yellow-rumped Warblers in Fall and Spring. Duck species including Hooded Merganser and Northern Shoveler can be seen Fall through Spring. Red-tailed Hawk and Cooper's Hawk are in the area Fall through Spring. Swallows and Osprey can be seen in Spring and Summer. 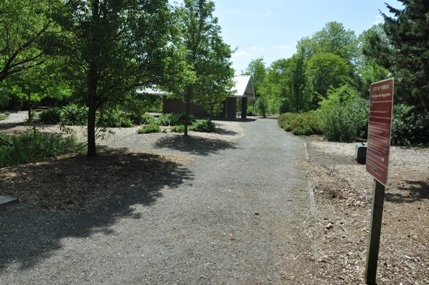 The walking trails are short but plans are made to extend them further around the pond.